Celebrate Independence Day on the Big Island! Independence Day on the Fourth of July is something many people look forward to in the summer months. If you’re visiting Hawaii Island or newly transplanted, you may be at a lost at what to do during the holiday. There are a number of celebrations going on – it’s just a matter of finding the right fit for you and your loved ones! 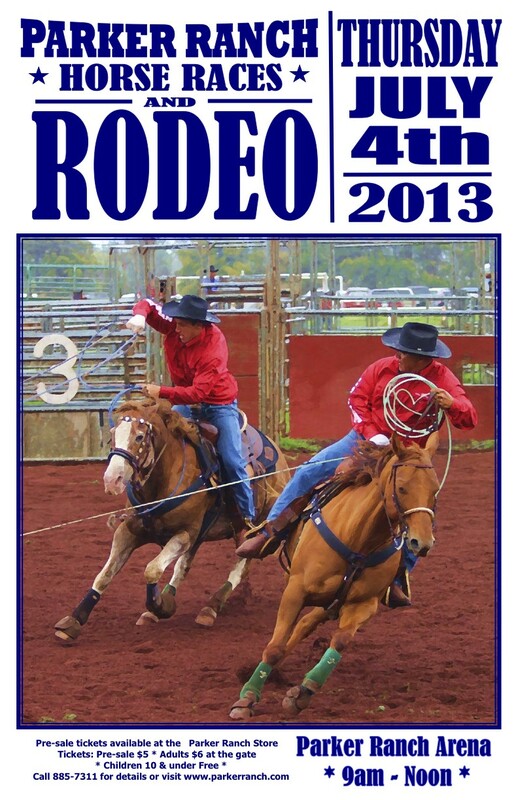 If you’re looking for a fun daytime event, look no further than the Parker Ranch Horseraces and Rodeo! The Waikoloa Beach Resort also hosts it’s own Fourth of July extravaganza. Throughout the day, there is entertainment, balloon sculpting, popcorn, cotton candy, the Zoo Choo, and family fun. Events begin 12:30, Queens Bowl opens at 5pm for music then fireworks at 8pm, then music by Full Circle. Call 808-886-8822. The Hualalai Resort offers guests and residents access to their Fourth of July celebration. The show starts at midnight, with fireworks launched from the Four Seasons beachfront. The resort will host a party at the Beach Tree with dinner buffet, entertainment and fireworks for Hualalai guests, and tickets for the soiree are already nearly sold out. Still, the show may also be visible from Queen Kaahumanu Highway in the Kailua-Kona area. For more information,click here or call the Concierge (808) 325-8000. Or better yet, stay at Hualalai Hale next year to get a prime view of the fireworks from your very own private resort home. Think cocktails and a late dinner by the pool, with glorious fireworks overhead. Be sure to make your reservations early, as the summer months tend to book up quickly!